Food can be central to a novel – to interactions, to evocations of scenery. Some writers, however, focus their attention on other details. Amongst them, Jeffrey Eugenides, author of Middlesex (one of my favorite books), and of my book club’s January pick: The Marriage Plot. I volunteered to hostess and cook for our meeting this month, and I was having trouble coming up with a thematic dish. If we’d been doing dress-up, Eugenides’ discussion of 1980s Betsey Johnson would have been a perfect stepping-off spot. For food, though, I wound up resorting to location, and taking inspiration from two major settings: New England and Calcutta. 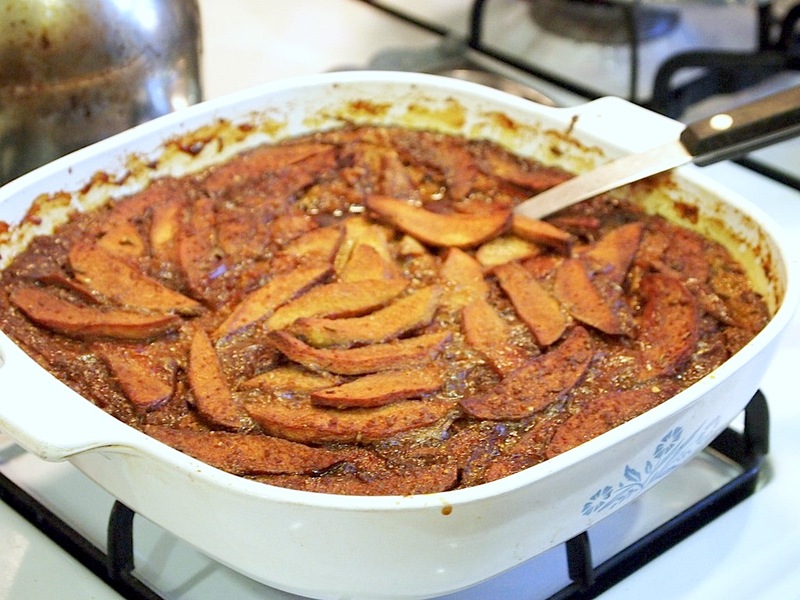 I found a recipe for indian pudding with apples in Rain, Hail, and Baked Beans – a 1958 “New England Seasonal Cook Book.” To this classic, I added spices inspired by a Bengali apple chutney recipe; I made an Indian indian pudding. Indian pudding is a simple classic – it’s been around since molasses started showing up in New England (the northern colonies were one of the points in the triangle trade). The recipe was obviously designed to take cheap, local ingredients and use them to stretch out expensive imported sweeteners. 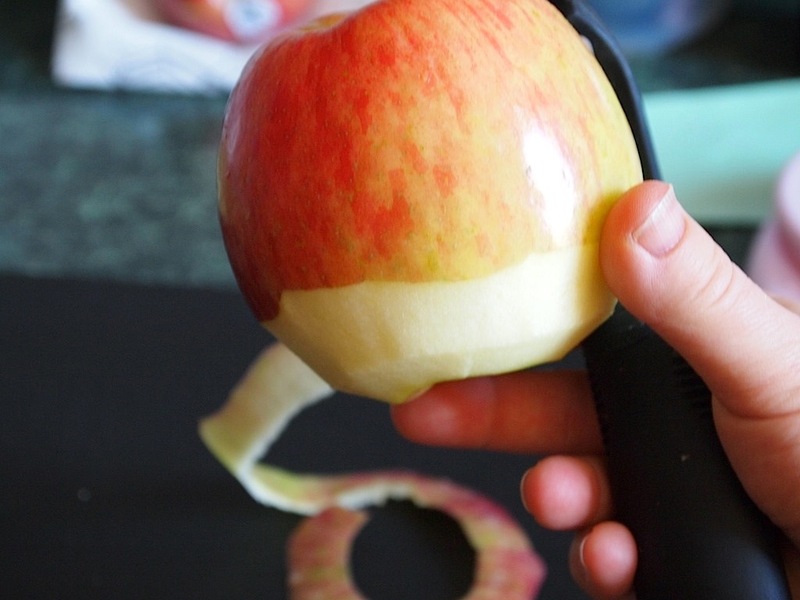 Milk and corn are the main ingredients; these can be supplemented by nuts or, as in this recipe, by apples. I based the spice mix I added on classic Bengali blend panch phoron – I didn’t have fenugreek or Nigella seeds hanging around, but I did think cumin and fennel would complement molasses nicely. 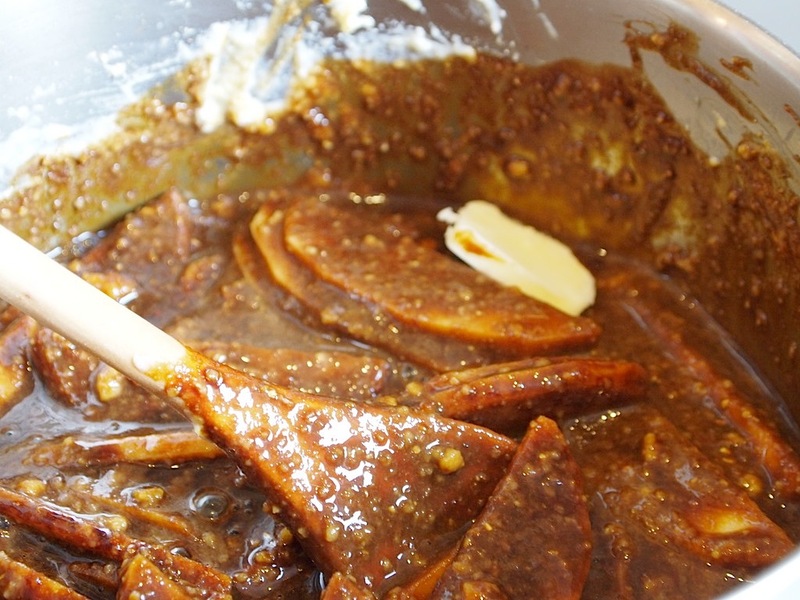 One recipe I found for a Bengali apple chutney used ginger, chilis, and mustard seed to add kick; I liked the idea of a spicier dessert, so I tossed these flavorings in as well. As I mentioned above, this recipe is based on milk and corn meal. It didn’t even call for eggs. The batter was pretty runny. I was pretty nervous when I put it in the oven. How would this milky mush set up into a pudding? I was so thrown by the liquidity of the pudding batter that I even omitted one cup of milk. Somehow, though, three hours in a low even turned this milk into a pudding. Mine didn’t hold together too well, but when it was slopped into a bowl and topped with vanilla ice cream, it was damn delicious. We ate it up at the end of our literary discussion (and wine consumption). I don’t think it transported us to Calcutta, Cape Cod, or Providence (the three places to which I was trying to tie it) – rather, like most decent fusion, it took us someplace new. After this experiment, I will definitely be trying new spice combos in molasses-based recipes – the fennel and cumin, especially, brought out some delicious notes in the sweetener. 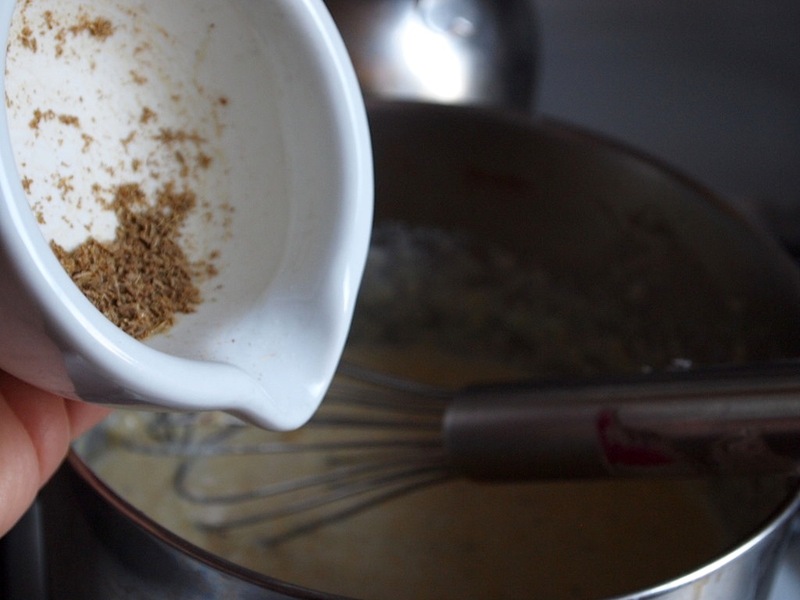 I’m posting the basic pudding and the spice mix I added separately below – I’m sure the traditional New England recipe is delicious on its own. The Wayside Inn in Sudbury, Massachusetts, which contributed this recipe to Rain, Hail and Baked Beans, still has their baked indian pudding on their menu – and I don’t blame them. 1. Preheat the oven to 300 degrees and butter a 9-inch square casserole. 2. Heat 2 cups of the milk over medium heat. Add the corn meal just before the milk boils. Reduce the heat and cook for 10 minutes, stirring constantly. 3. 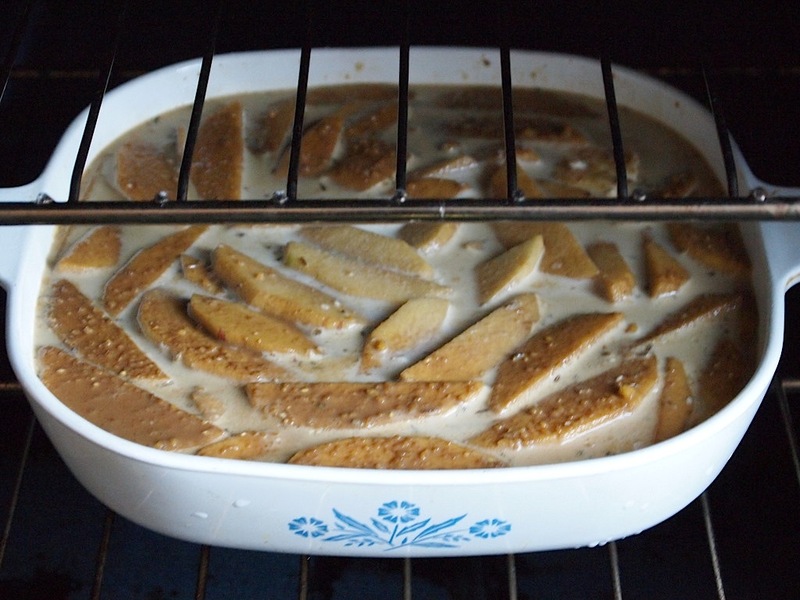 Mix in the apples, molasses, sugar, salt, butter, and spice mix – if desired. 4. Pour this mixture into the prepared pan, place the pan in the oven, and pour the remaining 3 cups of milk evenly over the top. 5. Bake for 3 hours, allow to cool for at least 30 minutes, and serve warm with whipped cream or vanilla ice cream. It sounds absolutely fantastic, even if it didn’t hold together well! Indian pudding is a classic too often overlooked! I love the apple addition. Indian pudding is a baked custard with milk, butter, molasses, eggs, spices, and cornmeal. The name is likely derived from the cornmeal, known as indian meal(American indian). Check out a tried-and-true recipe for indian pudding adapted from An Olde Concord Christmas, a long out-of-print book from the Concord Museum.You DO take risks in your cooking and are not afraid of challenge , BRAVO! When I saw the word Indian in this recipe, I got me triggered. I suppose I can’t help it because being an Indian, I cook mostly Indian dishes esp for my hubby though I can be flexible when it comes to food. Spices and all that you have added has brought out a wonderful pudding, simply tempting me. I’ve always wondered about Indian pudding – I think I saw a can of it in the baking aisle at Whole Foods…don’t think it was the same thing, though. =P I like the sound of warm apples and ice cream…how can you go wrong with that? and with all those fragrant spices…even better! Ohhh it took some time for me to figure out Indian means Native American but you added Indian (country) spices! lol. I see, that’s why Indian Indian pudding. 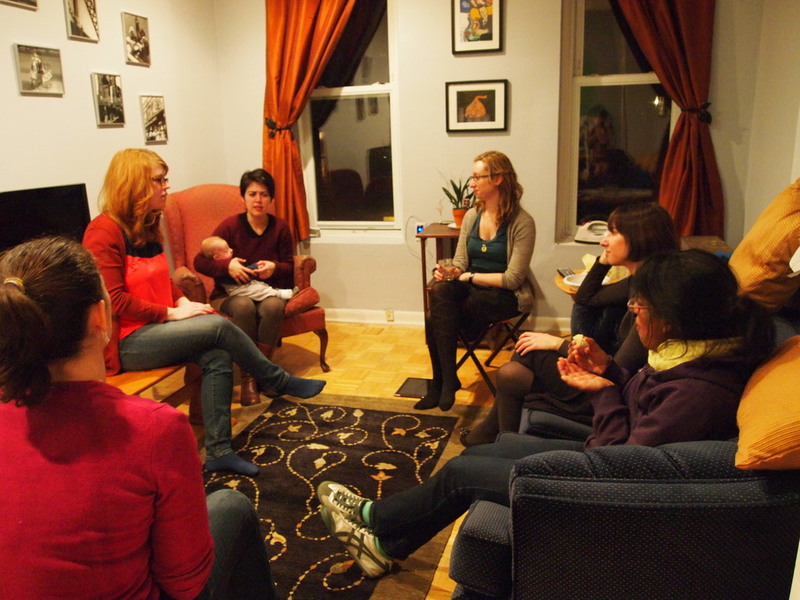 =) I’m always curious about book club – I see a mom with baby in the photo. What a nice large group (or is it considered small?)! I for sure didn’t even have energy and time to read books when my kids were small… and even they are a little bit older I still don’t find time to read books (wait, I’m reading blogs!! oh well). Looks very delicious with all the Indian spices. It must have been a big hit! Cornmeal & apples?!?!? I am super intrigued! I don’t think many of my book club members could be equal to themed food, but since we meet about once a month and there are 11 of us that means only doing it once a year. I will suggest it! gushy spicy bread-pudding-y goop topped with ice cream? That’s my kind of food! Your place is looking lovely and homey. Ooo I bet I could make this vegan with almond or soy milk…. And it’s already gluten freeeee!